Mr. Adams, Graduation and Senior Class Administrator, was born and raised in the US Virgin Islands. He attended Emory University in Atlanta, Georgia where he met his wife, Dr. Lydia Adams, a family practitioner in Concord. In his leisure time, Mr. Adams enjoys running, a good game of golf, and is an avid "Georgia" fan - be it the Braves, the Hawks, the Bulldogs, Dream, or the Falcons. The Adams's have one son, who is a middle school student and are active members of Crossroads Methodist Church in Concord, NC. Mrs. Buckwell is a native of Kannapolis and a graduate of A.L. Brown High School. She is married to Daron "Chip" Buckwell (KCS Assistant Superintendent) and has two sons that are both college students at Appalachian State University. In addition to A.L. Brown Wonder Football, the Buckwell's are avid supporters of Mountaineer Football and frequently spend weekend time in the NC mountains. An excellent cook, Mrs. Buckwell is known for her famous homemade poundcakes! 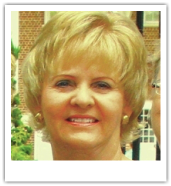 Mrs. Cross is currently in her 30th year of teaching in the Rowan and Cabarrus County communities. A native of Rowan County, she and husband Reid have three children, six grandchildren and two great-grandchildren. She enjoys reading and taking trips to Oak Island with her friends. Her natural attention to detail and organizational skills are a perfect match to her role as our school's testing coordinator. Mrs. Hall is a native of Kannapolis and graduate of A.L. Brown High School. scrapbooking and photography. Mrs. Hall has worked at A. L. Brown for 26 years and is "the department expert" when it comes to A.L. Brown history and archives. In addition to School Counseling, Mr. Landis is the Head Coach of the ALB Cross Country Team, the ALB Indoor Track Team, and the ALB Women's Track Team. A native of Pennsylvania, he is married to Kathi Landis (a KCS elementary school counselor) and has two daughters that are KCS students! The entire Landis family enjoys the sport of running and when not competing, they frequently spend their weekends participating in area events and fundraisers. Mr. Landis is also a devoted fan of the Pittsburgh Steelers and he proudly wears his black and gold on game days! Interpreter. "I am blessed with a wonderful husband, two amazing children, and our paw friend, Daisy. I enjoy my job, however I also enjoy spending time with my family, church family, and traveling on international missions." In addition to being fluent in both English and Spanish, Mrs. Martins is now learning Portuguese! NC State Teaching license in Business Education. Certified Career Development Facilitator. Mrs. Parlier is a native of Hickory, NC and moved to Concord in 2001. She began at A.L. Brown as a Marketing teacher and is proud to have served on the NC writing team for the Sports and Entertainment Marketing curriculum. She and husband Kenny have two young sons, the oldest a 2nd grade KCS student. Mrs. Parlier serves as the advisor for the National Technical Honor Society and is the school's coordinator for Junior Marshals. 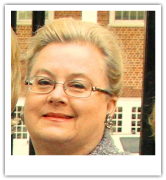 A sixteen year teaching veteran of Kannapolis City Schools, Mrs. Pitts joined our A.L. Brown family this year as the Academically Gifted Coordinator. Having spent the past seven years at Kannapolis Middle School , she already knows many ALB students and has proven to be a 'wonder' ful addition to our student services team! Originally from Buffalo, New York, Mrs. Pitts now calls the Kannapolis Wonders her "home team" and is passionate about enhancing student growth and opportunity. Mrs. Pitts is married and has three children, one of which is also a teacher with KCS! Mrs. Reynolds comes to A.L. Brown from the Buckeye State of Ohio where she was born and raised. Outside of school, she and husband Casson enjoy socializing with friends and stay busy raising their "canine child," a dog named LUNA...who according to Mrs. Reynolds, is afraid of her own shadow! Ms. Sadowski has been a KCS school psychologist since 2009 and currently coordinates the psychological testing programs for Kannapolis Intermediate School as well as A.L. Brown. A New York native (and Buffalo Bills fan! ), Ms. Sadowski moved to North Carolina in 2009 and truly appreciates the 'wonder'ful NC weather as opposed to the "snow belt" she grew up in. Her favorite weekends include hiking, boating on Lake Norman, and she loves backyard BBQ grilling - but her most recent love has become the exciting sport of skydiving! Mrs. Stodghill is a native of Kannapolis and a graduate of A.L. Brown High School. Parents of two grown sons, she and husband Mark enjoy spending leisure time at at the lake and are also amateur cyclists (very amateur! ), as they enjoy participating in area fun/charity rides. Their happy, busy household includes their bulldogs - Cowboy andRuby Sue. National Board for Professional Teaching Standards - Early Childhood through Young Adulthood Exceptional Needs Specialist- 2001; Certified Renewal- 2010.
and their families. She and husband Gary (who is also a high school teacher) have two daughters - one, a college student at UNC-Chapel Hill and the other, a graduate student at NC State and NEWS14 Carolina Reporter in Raleigh. Her hobbies include spending time with family and friends, running with both her daughters as well as a morning running club, and socializing with fellow supper-club friends. LCSW - Florida & North Carolina - inact. 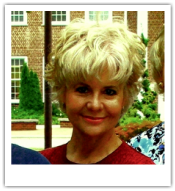 Forty years professional experience as a student services team member, child & family therapist, mental health administrator, and college instructor.